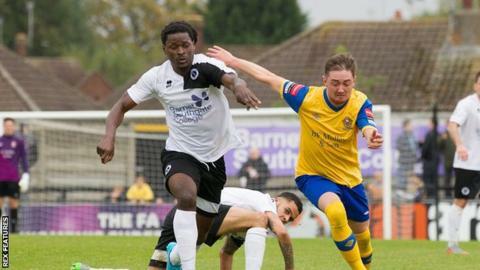 Boreham Wood have re-signed midfielder Clovis Kamdjo on loan from National League rivals Forest Green Rovers for the rest of the season. The 25-year-old scored twice in 13 league appearances for Wood during a loan spell earlier this season. Luke Garrard's side are currently 20th in the National League table. "I'm hopeful of adding one or two more of Luke's targets in the next few days," Wood chairman Danny Hunter told the club website.